ALL TICKET SALES DEADLINE: April 12th! All tickets must be returned to office by 12:00 noon April 12th. Remember we are holding weekly drawings for cool prizes each Monday. For each book of tickets sold each student in the family gets an entry into these drawings. Stop by the office is you want/need more tickets! 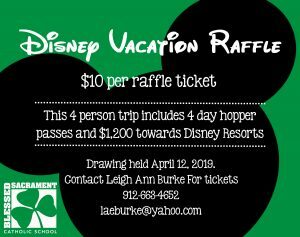 If you have any questions about the raffle, please contact Mrs. Burke (email: Leigh Ann Burke). 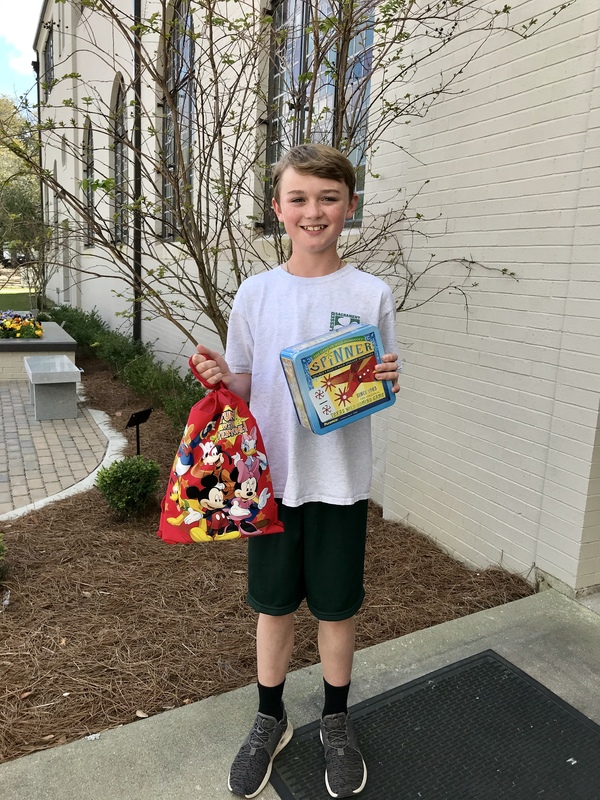 Our FIRST student winner, 6th Grader, J. Adams! Keep selling those tickets! Your student becomes eligible for weekly drawings every time a book of tickets is sold! 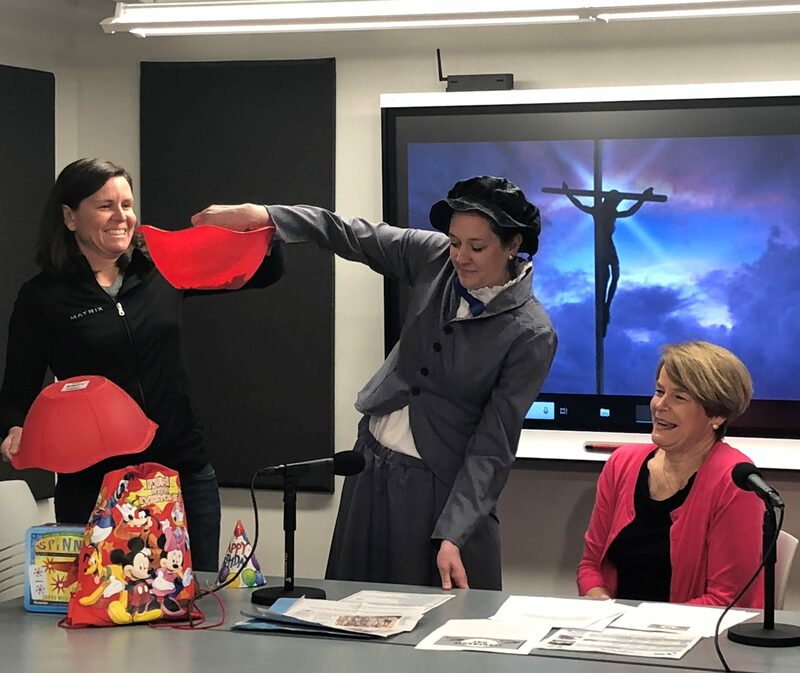 Mary Poppins draws the name of the first winner . . .